TOMRA Insight turns sorting machines into connected devices that generate process data. The new platform collects this data in the cloud and turns it into actionable information accessible through a web interface. The secure cloud-based data transmission and storage package, respecting all privacy requirements, is provided in partnership with the industry-leading cloud computing service, Microsoft Azure. The monitoring and reporting functions of this new on-demand platform will complement, not replace, existing process control systems. TOMRA Insight provides near-real-time data that is accessed via a secure connection and user-friendly interface on desktops as well as on mobile devices, anywhere and at any time. This provides machine users the freedom to remotely analyze performance metrics and proactively manage machines for performance optimization and preventive maintenance. By providing digital metrics such as throughput, material and size distribution, acceptance and rejection rates, and more, TOMRA Insight gives equipment operators the critical operating data necessary to optimize sorting performance. This actionable information can help reduce machine downtime, optimize machine settings, maximize throughput, sort to target quality, improve the efficiency of machine operators and internal service personnel, and reduce operating costs. Through personal reports and alerts, Insight provides data analytics to help manage proactive and condition-based maintenance, parts ordering and servicing. "The launch of our revolutionary TOMRA Insight platform is but a first step in the future evolution of improving the sorting circuit's overall operating performance," comments Carlos Manchado Atienza, regional director Americas, TOMRA Sorting Inc. "It unlocks the true power of near-real-time reporting of operating data, so our customers have the necessary tools to monitor and optimize their sorting processes, improving profit potential. 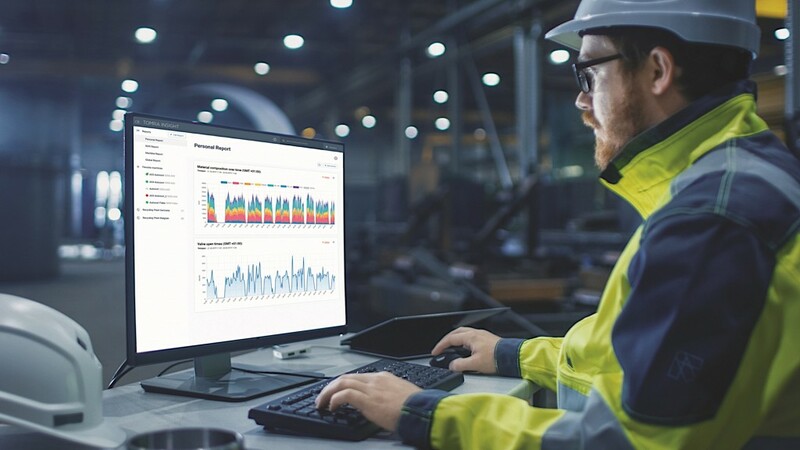 TOMRA Insight will allow us to enhance service and maintenance schedules, offer predictive analytics for a component's service life and develop optimal machine sorting configurations, technologies and applications." As with TOMRA's world-leading optical and sensor-based sorting solutions, TOMRA Insight will be subjected to continuous technical advancement. In the future, advanced data analytics will further optimize processes by enabling the long-term aggregation of data, cross-machine and cross-plant analysis and benchmarking, and better integration into other business lines. As a gateway and accelerator for sorting optimization, TOMRA Insight will ultimately connect customers to an industry-wide movement. As a digital hub for learning, improvement, best practice and new developments in sorting technology, TOMRA will give customers access to a broader knowledge-base than ever before.